 Ross (Journalism/Northwestern; Escape to Shanghai, not reviewed) tells the story of Wen Zangde (1900-88), whose extraordinary life mirrored the vicissitudes of 20th-century Chinese history. Wen was born to Chinese immigrant parents in San Francisco, where, as a child, she met Dr. Sun Yatsen, who was later to become president of China upon the overthrow of Manchu rule. In 1914 Wen went to college in Beijing. She remained, married, and moved in high society and government circles with her banker husband. In the early '30s, fleeing the Japanese occupation, they moved with their children to Hong Kong; after Hong Kong itself fell to the Japanese during WW II, Wen took her children back to China, where she had to deal with armed Chinese bandits and Japanese soldiers. She fled again to Hong Kong after the Nationalists were defeated by the Communists; but her admiration for Zhou Enlai (and her husband's infidelities) led her to return to Shanghai, where she taught English at the prestigious Foreign Languages Institute School. 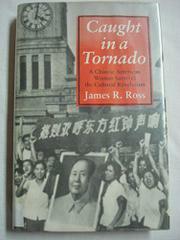 Ross devotes the second half of his book to her ten years of humiliation, imprisonment, and beatings at the hands of the Red Guard during the Cultural Revolution (1966-76). Wen was accused of using nonproletarian language in her lectures (e.g., describing a woman as ``beautiful'') and of spying for her husband's Nationalist newspaper in Hong Kong. She refused to confess to being a spy and was released in 1976. Wen, who spent her final years in Oakland, Calif., emerges as a model of heroic stoicism--but she also remains somewhat distant. Ross sticks to the epic and to the historical. Readers may want to know more of her inner life, especially her feelings about her marriage, China itself, and her sufferings. Still, a solid account of one woman's remarkable physical and moral endurance.